My piece “Ashes to Ashes” has just come out as part of the winter edition of Breath and Shadow. “Ashes to Ashes” is quite unusual for me, as it is set firmly in Gippsland, where I lived for many years but which only rarely intrudes on the creative part of my mind. It’s quite short, and completely free to read, so please check it out and perhaps even let me know what you think! 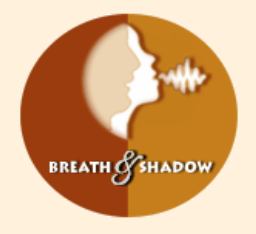 I received the good news earlier this week that my literary fantasy short “Ashes to Ashes” will be published in Breath and Shadow sometime around December this year. 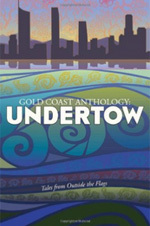 It’s the first of my pieces to be strongly set in Gippsland, and I’m very pleased that it’s found a good home. On Monday, I learned that Grimdark Magazine will be putting out a print collection of all the short stories from their first two years of existence, which means that my piece “Ashes” will be included. The cover looks fantastic, and it’s going to be available in places that most of my publications aren’t (like the Book Depository!) so I’m really looking forward to see the final product. I think everyone can agree that 2016 has been a year. Amidst all the bad, however, I’ve somehow managed to have my best year by far when it comes to publications, so that is pleasing. 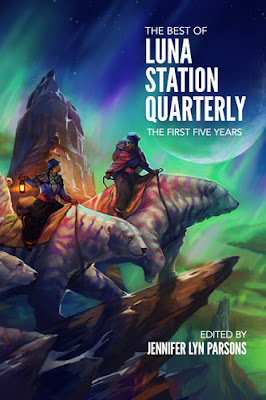 (1) My gothic sci-fi piece “Scrap Metal” has just gone live with Issue 28 of Luna Station Quarterly. (2) My horror novelette “The Starlight Circus” has been accepted for publication in the next issue of Red Sun Magazine, which is due out around Christmas. In a few weeks’ time, I’m off for a belated honeymoon in the UK, with a brief stop in Denmark to meet a dear friend’s baby. I always find the UK very inspiring, so hopefully it’ll kick start a much more productive writing year in 2017. To all those feeling a little lost in the world right now, I wish you creativity and hope in the new year. This too will pass. Apologies for the long delay between posts. I’ve been up to my neck in study, so the focus has been more on essays than fiction. However, I’ve now completed the graduate certificate and hope to post more regularly in the future. While I was away, I’ve had a few things published, so I’ll make this a quick dot point list to fill things in. In more personal news, I got married last month! Australia is still dragging its heels on equal marriage but, as I’m a British citizen, my wife and I were able to be legally married at the home of the British Consul-General in Melbourne.